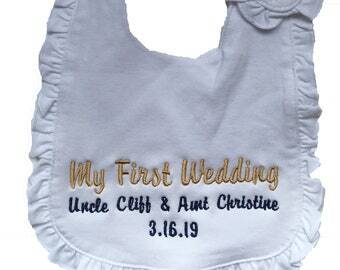 Announcement Personalized custom embroidery specializing in creative gifts for babies, weddings, and special events. 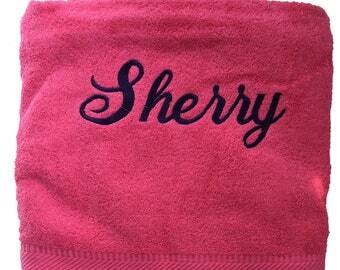 Embroidering online since 1999! About custom requests: The custom option is there for you for new items - not already shown here. There are so many things I can do that are not here yet. If you want a currently offered item, you can purchase that item and provide your personalization information in the message to seller. The item is custom for you, but no special listing is needed. This saves my time for production and quick shipping. 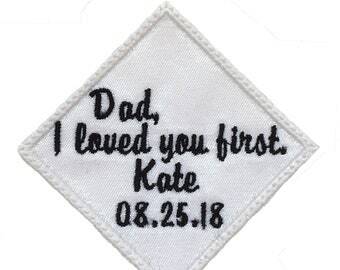 Personalized custom embroidery specializing in creative gifts for babies, weddings, and special events. Embroidering online since 1999! Wonderful experience. Good work, shipped quickly and I love them! Have been searching all over for these as everyone in our birthday club now has them so thank you Peg!!! These monogrammed 1000 thread count 100% cotton bed sheets make the best wedding gift of all. Here is where I do sewing construction and packing and shipping. This is my small thread wall for the 1000 meter spools, added to a convenient wall near the machines. In September, 1999 I wandered into an embroidery shop in Wayzata, MN during a family reunion there. Something clicked and I told my husband I really really wanted to do this. He did not take me seriously. Now mind you., this was not a completely wild idea. 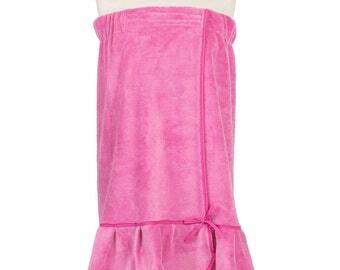 I have sewn since the summer I turned 10 and my grandmother took me for the whole summer to learn to sew. But it was out of the blue as far as my husband was concerned. And he thought was a little crazy to make a business of it. Two days later, I was in Denver buying professional embroidery equipment and embroidery software. The embroidery learning curve was the easy part. I had to learn how to run a business, maintain inventory and manage time. It took another eight months to get my website up and running. I started with baby things because they are so cute and I was missing having a baby in the house. Then I branched out to home and wedding. In 2008 I discovered etsy and decided to add that to my repertoire, specializing in wedding. It seemed to be a good etsy fit. I work exhausting hours during the holidays, but I can honestly say that I love what I do just as much today as I did in those early years. I am still developing ideas and learning new things I can do creatively. And my commute and work wardrobe are the best! 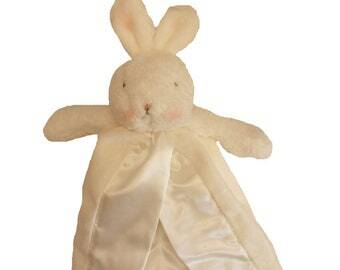 I have sewn since I was ten years old, but started embroidering in 1999. I began with my website (initial-impressions.com) and added etsy in 2008 and amazon handmade when its time came.